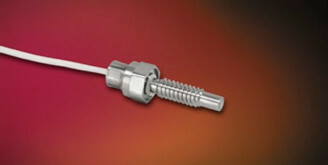 The XTE-140 Series uses a standard miniature silicon diaphragm to obtain extremely high natural frequencies in the smallest thread mount available. This transducer is well suited for both dynamic and static pressure measurements in benign or harsh environments. Its wide operating range (-65°F to +525°F) makes it ideal for numerous applications in Aerospace and other areas of industry.